In my 2010 book Post-Cinematic Affect, I coined the term “post-continuity.” I used this term to describe a style of filmmaking that has become quite common in action films of the past decade or so. In what I call the post-continuity style, “a preoccupation with immediate effects trumps any concern for broader continuity—whether on the immediate shot-by-shot level, or on that of the overall narrative” (123). In recent action blockbusters by the likes of Michael Bay and Tony Scott, there no longer seems to be any concern for delineating the geography of action, by clearly anchoring it in time and space. Instead, gunfights, martial arts battles, and car chases are rendered through sequences involving shaky handheld cameras, extreme or even impossible camera angles, and much composited digital material—all stitched together with rapid cuts, frequently involving deliberately mismatched shots. The sequence becomes a jagged collage of fragments of explosions, crashes, physical lunges, and violently accelerated motions. There is no sense of spatiotemporal continuity; all that matters is delivering a continual series of shocks to the audience. “I had to train everyone to see the world like I see the world,” Bay states in the DVD commentary to Armageddon. That world is apparently one of disorienting edits, mindless whip pans, and rack focuses that leave the background in a blur to reveal the barrel of a gun. Colors are treated with equal exaggeration: Entire scenes are lit in deep blue or green with no discernible source for the reflection. It is an anarchic, irresponsible vision, despite all the macho, patriotic chest-thumping. Chaos cinema apes the illiteracy of the modern movie trailer. It consists of a barrage of high-voltage scenes. Every single frame runs on adrenaline. Every shot feels like the hysterical climax of a scene which an earlier movie might have spent several minutes building toward. Chaos cinema is a never-ending crescendo of flair and spectacle. It’s a shotgun aesthetic, firing a wide swath of sensationalistic technique that tears the old classical filmmaking style to bits. Directors who work in this mode aren’t interested in spatial clarity. It doesn’t matter where you are, and it barely matters if you know what’s happening onscreen. The new action films are fast, florid, volatile audiovisual war zones. Stork’s video essay is extremely interesting and useful. He really makes you see how action editing has changed over the course of the past decade or so. I have been showing it to my students in order to explain how editing styles have changed. But I can’t help feeling that Stork’s focus is too narrow, and that his judgments—about the badness, or “illiteracy,” of “chaos cinema” in comparison to the older action-editing styles of Peckinpah, Woo, et al.—are too simplistic and unequivocal. Stork deliberately adopts a provocative and polemical tone, in order to get his point across. But he only talks negatively about the new style; he points out what it fails to do, without giving enough credit for the positive things that it actually does. To my mind, it is inadequate simply to say that the new action films are merely vapid and sensationalistic. Ironically, Stork’s dismissal of action films today sounds rather like the way in which, in years past, Hollywood fare in general was disparaged in comparison to self-conscious art films. When I showed “Chaos Cinema” Part 1 to my Introduction to Film class earlier this semester, the students agreed that they could really see the stylistic differences that the video put on display. But many of them also said that, having grown up with “chaos cinema,” they enjoyed it and weren’t bothered by the failings of which Stork accused it. New forms and new technical devices imply new possibilities of expression; I am interested in trying to work out what these new possibilities might be. This will involve picking up on Bruce Reid’s not-entirely-facetious suggestion of ties between the most crassly commercial recent filmmaking and the historical projects of the avant-garde. In the third part of his “Chaos Cinema” video essay, responding to criticisms by Scott Nye, Stork grudgingly admits that Tony Scott’s Domino (2005)—surely one of the most extravagant examples of post-continuity style—is not devoid of aesthetic value. But Stork complains that, because of its radical “abstraction,” Domino doesn’t work in a genre context—it isn’t really an action film. I note, however, that Bruce Reid had already credited Michael Bay with pushing filmmaking “to the brink of abstraction,” and yet making movies that mass audiences love. Stork complains that Domino is an avant-garde experiment; the avant-garde, he says, is “a hermetically sealed environment,” with “different audiences, reception spheres and ambitions” than the commercial genre film. But I am rather inclined to agree with Reid; the mass vs. avant-garde distinction just doesn’t hold any longer. After all, there isn’t a technique used by Jean-Luc Godard that hasn’t become a mainstay of television and Internet commercials. One way that we can start to work out the potentialities of post-continuity styles is by looking at their genealogy. Stork notes, as I also do in my book, that what he calls “chaos cinema” is an offshoot, or an extreme development, of what David Bordwell calls intensified continuity. Bordwell demonstrates how, starting with the New Hollywood of the 1970s, commercial filmmaking in America and elsewhere has increasingly involved “more rapid editing . . . bipolar extremes of lens lengths . . . more close framings in dialogue scenes . . . [and] a free-ranging camera” (“Intensified Continuity” 16-21). But although this makes for quite a different style from that of classic Hollywood, Bordwell does not see it as a truly radical shift: “[f]ar from rejecting traditional continuity in the name of fragmentation and incoherence,” he says, “the new style amounts to an intensification of established techniques” (16). It still tells stories in the classical manner—only more so, with a vengeance. I think that Stork and I are both arguing that this is no longer the case with the 21st-century developments of action cinema. (And Bordwell himself might even agree with this, as witness the blog posting I quoted earlier [“A Glance”]). In my book, I suggested that intensified continuity has “jumped the shark,” and turned into something else entirely (Post-Cinematic Affect 123). We might call this, in the old Hegelian-Marxist style, a dialectical reversal involving the transformation of quantity into quality. Or we might see it as an instance of Marshall McLuhan’s observation that every new medium retrieves an earlier, supposedly “outdated” medium; and then, at its limit, reverses into its opposite. In the 21st century, the very expansion of the techniques of intensified continuity, especially in action films and action sequences, has led to a situation where continuity itself has been fractured, devalued, fragmented, and reduced to incoherence. Michael Bay himself can be quoted on this point: “when you get hung up on continuity,” he says, “you can’t keep the pace and price down. Most people simply consume a movie and they are not even aware of these errors” (qtd. in Shaviro, Post-Cinematic Affect 119). It’s noteworthy that Bay seems equally concerned with “pace” and “price,” and that he sees his movies as objects which the audience will “simply consume.” As far as Bay is concerned, the frequent continuity violations discovered in his films by hostile critics are not “errors” at all; they are just nitpicky details that only matter to those few of us who analyze films for a living. It’s easy enough to ridicule this sort of attitude, of course; and I have done so as much as anybody. But beyond ridicule, the crucial point is that the classical values of continuity simply don’t matter to certain contemporary filmmakers any more. This is why I prefer my own term, post-continuity, to Stork’s “chaos cinema.” Film today is post-continuity, just as our culture in general is postmodern—or, even better, post-literate. Even if we’ve discovered today that “we have never been modern,” this discovery is itself a product of modernity. 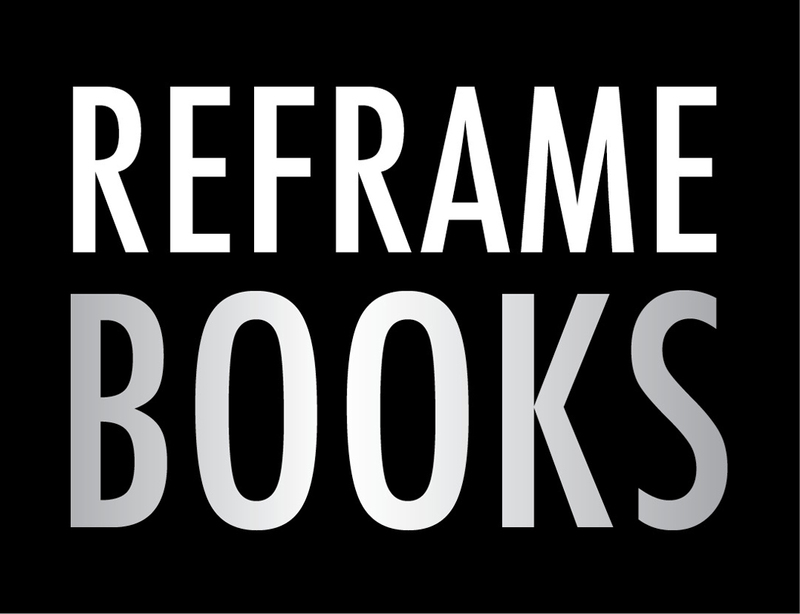 And it’s not that we don’t read anymore, but rather that reading itself has been recontextualized, and subsumed within a broader multimedia/audiovisual environment. In the same way, it is not that continuity rules are always being violated or ignored; nor are the films made in their absence simply chaotic. Rather, we are in a “post-continuity” situation when continuity has ceased to be important—or at least has ceased to be as important as it used to be. You can still find lots of moments in post-continuity films in which the continuity editing rules are being carefully followed, as well as moments in which they are thrown out the window. And it’s also true that, as Stork notes, continuity cues that are not provided visually are instead provided subliminally on the soundtrack. (The role of sound in post-continuity cinema is something that I will need to address elsewhere). In any case, however, the crucial point for post-continuity films is that the violation of continuity rules isn’t foregrounded, and isn’t in itself significant. This is in sharp contrast to the ways that jump cuts, directional mismatches, and other violations of continuity rules were at the center of a film like Godard’s Breathless more than half a century ago. Today, neither the use of continuity rules nor their violation is at the center of the audience’s experience any longer. In other words, it is not that continuity rules—whether in their classical or “intensified” form—have been abandoned, nor even that they are concertedly violated. Rather, although these rules continue to function, more or less, they have lost their systematicity; and—even more—they have lost their centrality and importance. And this marks the limit of Bordwell’s claim, in his “Intensified Continuity” essay, that even the flamboyant camera movements and ostentatious edits and special effects of the “intensified” style still serve the same ultimate goal as classical narration: putting the audience in the position of “comprehending the story” and “surrendering to the story’s expressive undertow” (25). Continuity structures, however, are not just about articulating narrative. Even more importantly, perhaps, they work to provide a certain sense of spatial orientation, and to regularize the flow of time. Where Bordwell sees the establishment of spatiotemporal relations as crucial to the articulation of narrative, I am inclined to think that the actual situation is the reverse. Even in classical narrative films, following the story is not important in itself. It is just another one of the ways in which we are led into the spatiotemporal matrix of the film; for it is through this matrix that we experience the film on multiple sensorial and affective levels. I am making a rather large theoretical claim here, one that I will need to justify, and further develop, elsewhere. But I think it has major consequences for the ways in which we understand post-continuity. In post-continuity films, unlike classical ones, continuity rules are used opportunistically and occasionally, rather than structurally and pervasively. Narrative is not abandoned, but it is articulated in a space and time that are no longer classical. For space and time themselves have become relativized or unhinged. In this sense, Bordwell is wrong to claim that “in representing space, time, and narrative relations (such as causal connections and parallels) today’s films generally adhere to the principles of classical filmmaking” (“Intensified Continuity” 16). In his droll 1989 book Making Meaning, the American scholar David Bordwell makes fun of a standard procedure in discussing film. Let us take shot/reverse shot cutting, proposes Bordwell. Critics like to say: if we see, as part of the same scene, one person alone in a shot, and then another person alone in another shot, it means that the film intends us to see them as emotionally far apart, separated, disconnected. But (Bordwell continues) it can also be taken to mean the exact opposite: the rhythm of the cutting, the similarity of the positioning of the figures in the frame—all that signals a union, a oneness, a deep connection between these two people! Bordwell repeats the same mock-demonstration with camera movement: if a panning or tracking shot takes us from one character, past an expanse of space, to another character, critics will unfailingly say either that this means they are secretly connected, or (on the contrary) that there is a gulf between them. What a concept to boggle Bordwell’s mind: the camera movement which is (to paraphrase Deleuze) a line which connects what is disconnected, while keeping it disconnected! Yet this is precisely the complexity of what we are given to see, as spectators, in a film by Mizoguchi or so many other filmmakers: this ambiguous or ambivalent interplay of what connects or disconnects, links or unlinks, the people and objects and elements of the world. Without necessarily endorsing Deleuze’s particular mode of analysis, I’d like to suggest that Martin gives us the way in which we can indeed assign some broader significance to the larger phenomenon of post-continuity: to see what it connects and what it disconnects. In classical continuity styles, space is a fixed and rigid container, which remains the same no matter what goes on in the narrative; and time flows linearly, and at a uniform rate, even when the film’s chronology is scrambled by flashbacks. But in post-continuity films, this is not necessarily the case. We enter into the spacetime of modern physics; or better, into the “space of flows,” and the time of microintervals and speed-of-light transformations, that are characteristic of globalized, high-tech financial capital. 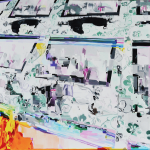 Thus in Post-Cinematic Affect, reflecting on Neveldine and Taylor’s Gamer, I tried to look at the ways that the post-continuity action style is expressive of, as well as being embedded within, the delirium of globalized financial capitalism, with its relentless processes of accumulation, its fragmentation of older forms of subjectivity, its multiplication of technologies for controlling perception and feeling on the most intimate level, and its play of both embodiment and disembodiment (93-130). I think, however, that there is much more to be said about the aesthetic sensibility of post-continuity styles, and the ways that this sensibility is related to other social, psychological, and technological forces. Post-continuity stylistics are expressive both of technological changes (i.e. the rise of digital and Internet-based media) and of more general social, economic, and political conditions (i.e. globalized neoliberal capitalism, and the intensified financialization associated with it). Like any other stylistic norm, post-continuity involves films of the greatest diversity in terms of their interests, commitments, and aesthetic values. What unites, them, however, is not just a bunch of techniques and formal tics, but a kind of shared episteme (Michel Foucault) or structure of feeling (Raymond Williams). It is this larger structure that I would like to illuminate further: to work out how contemporary film styles are both expressive of, and productively contributory to, these new formations. By paying sustained attention to post-continuity styles, I am at least trying to work toward a critical aesthetics of contemporary culture. On his blog, the cinematographer John Bailey interviewed Stork and commented extensively on the ideas from his video essay. Bailey proposes that the real hallmark of “chaos cinema” is “spatial confusion,” even when this is accomplished without “eruptive cutting.” He therefore suggests that even films that “embrace the long take”, and mimic the hypercontinuity of first-person computer games, may also partake of what I am calling post-continuity. Gus van Sant’s Gerry, for instance, accomplishes “such a complete spatial dislocation that it slowly, inexorably becomes the heart of the film.” Bailey’s observations are quite congruent with work that I have been doing on how space time relations, as well as audiovisual relations, are radically changed by the new digital technologies (see my essay “Splitting the Atom,” in this volume). Dogme95-influenced handheld cinematography also produces a post-continuity style. Excessive camera movements, reframings without functional justification, and rough, jumpy editing lead to a vertiginous sense of dislocation. Writing about Lars Von Trier’s Melancholia on his Twitter feed, Adrian Martin (@AdrianMartin25) complains: “I tend to dislike almost every stylistic decision made by Lars von Trier. Other things can be interesting, but the style! Where is the craft in this MELANCHOLIA thing? Some of the actors are great, but nobody is being directed, it’s an amateur movie! !” Now, I value this film quite highly, as Martin evidently does not. But I think that his discomfort bears witness to something that is genuinely true of the film: its indifference to the traditional aesthetics of continuity, and the sorts of meanings that are produced by such an aesthetic. My own argument is that this is altogether appropriate to a film that rejects modernity altogether, and envisions the end of the world. (I try to discuss the positive effects of Von Trier’s post-continuity style in my essay “Melancholia, or the Romantic Anti-Sublime”). I think that post-continuity is also at work in the minimalism and stasis of such recent low-budget horror films as the Paranormal Activity series. These films are evidently not dislocated, as they are shot, and take place, in single locations. In each film, the point of view is restricted to the rooms and grounds of one single-family home. But these films are entirely shot with home-video and home-computing equipment; and the machines that capture all the footage themselves appear within the diegesis. This means that everything comes either from jerky handheld video cameras, or else from the fixed locations of laptop cams and surveillance cams. As a result, the patterns of traditional continuity editing are completely missing: there are no shot-reverse shot patterns, and no cuts between establishing shots and close-ups. Instead, we get a point of view that is impersonal, mechanized, and effectively from nowhere. Nicholas Rombes argues that the Paranormal Activity films are in fact avant-garde works, due to their use of fixed or mechanically-controlled cameras. (For further discussion of this, see the Critical Roundtable on these films, featuring me, Rombes, and Julia Leyda, and moderated by Therese Grisham, in a recent issue of La Furia Umana [reprinted in this volume]). The casual, throwaway style of “mumblecore” slice-of-life films. The widespread integration of graphics, sound effects, and mixtures of footage emulating video games, that we find in a film like Scott Pilgrim. The promiscuous mixtures of different styles of footage that we find in such films as Oliver Stone’s Natural Born Killers and Brian De Palma’s Redacted. In all of these cases, the films do not altogether dispense with the concerns of classical continuity; but they move “beyond” it or apart from it, so that their energies and their investments point elsewhere. What is common to all these styles is that they are no longer centered upon classical continuity, or even the intensification of continuity identified by Bordwell. 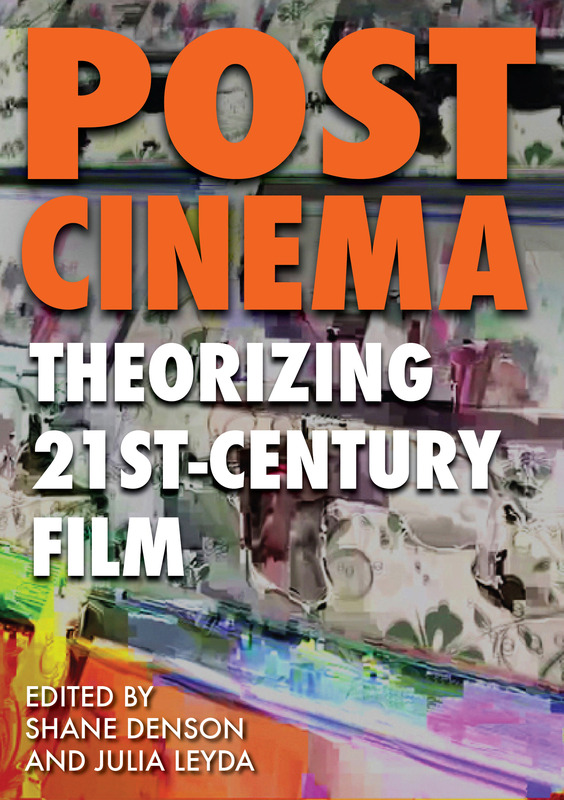 We need to develop new ways of thinking about the formal strategies, as well as the semantic contents, of all these varieties of post-continuity films. Bailey, John. “Matthias Stork: Chaos Cinema/Classical Cinema, Part 3.” John’s Bailiwick. 5 Dec. 2011. Web. <http://www.theasc.com/blog/2011/12/05/matthais-stork-chaos-cinemaclassical-cinema-part-three/>. Bordwell, David. “A Glance at Blows.” Observations on Film Art. 28 Dec. 2008. Web. <http://www.davidbordwell.net/blog/2008/12/28/a-glance-at-blows/>. —. “Intensified Continuity: Visual Style in Contemporary American Film.” Film Quarterly 55.3 (2002): 16-28. Print. _and_Paranormal_Activity_2>. Reprinted in this volume. Martin, Adrian. “Tsai-Fi.” Tren de Sobras 7 (2007). Web. [no longer online]. <http://www.trendesombras.com/articulos/?i=57>. Reid, Bruce. “Defending the Indefensible: The Abstract, Annoying Action of Michael Bay.” The Stranger, 6 July 2000. Web. <http://www.thestranger.com/seattle/defending-the-indefensible/Content?oid=4366>. Shaviro, Steven. “Melancholia, or the Romantic Anti-Sublime.” Sequence 1.1 (2012). Web. <http://reframe.sussex.ac.uk/sequence1/1-1-melancholia-or-the-romantic-anti-sublime/>. Stork, Matthias. “Chaos Cinema [Parts 1 and 2]: The Decline and Fall of Action Filmmaking.” Press Play. 22 Aug. 2011. Web. <http://blogs.indiewire.com/pressplay/video_essay_matthias_stork_calls_out_the_chaos_cinema>. —. “Chaos Cinema, Part 3.” Press Play. 9 Dec. 2011. Web. <http://blogs.indiewire.com/pressplay/matthias-stork-chaos-cinema-part-3>. This chapter was originally published on Steven Shaviro’s blog The Pinocchio Theory, under the title “Post-Continuity: Full Text of My Talk,” on March 26, 2012: <http://www.shaviro.com/Blog/?p=1034>. It was originally presented at the 2012 Society for Cinema and Media Studies conference in Boston. Reprinted with permission from the author.